Majestic and stylish, our 180-seat beachfront Strawy Restaurant is a venue for diners who love meals seasoned by oceanic and botanic flavors, from buffet breakfast delicacies to late evening snacks. 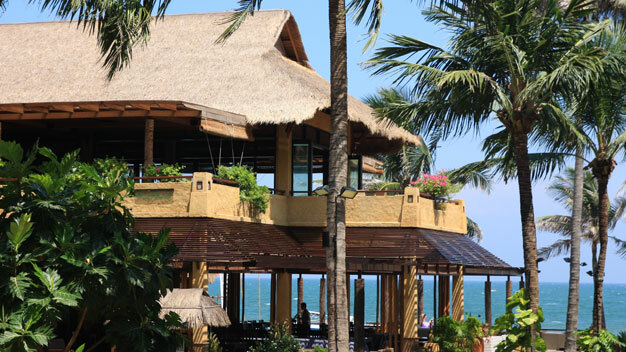 The restaurant itself is constructed of sustainable materials such as thatch, terra cotta, earthen straw, wood, and bamboo—furthering our commitment to the environment. From whichever corner of the world our guests come, we have a variety of international, Vietnamese, and local cuisines for you to enjoy and discover. Nothing is better than relaxing under the thatched roof at the East Cape Bar. Enjoy the breezy salt air mingling with the lulling waves. We offer a long list of drinks from beers to soft drinks, spirts to juices, and coffees to cocktails. Come and reach carefree peaks at this 30-seat lounge. Cooking classes, both scheduled and upon request, offer joy to diners. Under our talented Chefs’ hands, Hue Imperial cuisine will take you back to a majestic culture in Vietnamese history. You have your choice of customized menus for weddings and banquets. Selecting healthy juices is marvelous ways to boost you up. 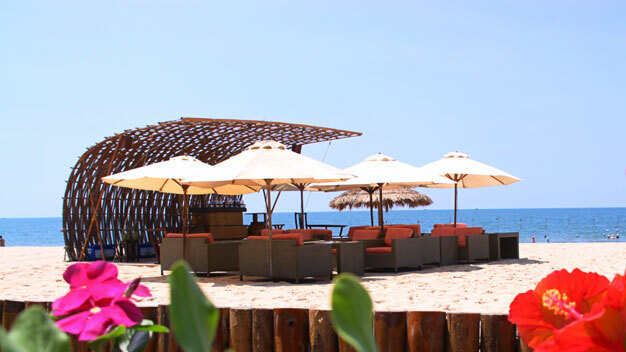 For unforgettable memories let us host your event, birthday, anniversary or wedding on Mui Ne beach. Please contact our Food & Beverage Department. You will be satisfied. 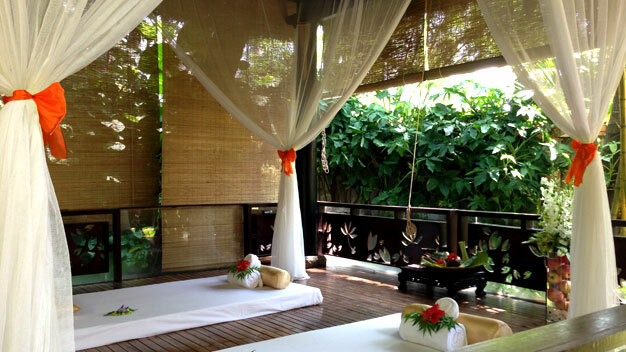 Our Water Lily Spa blends traditional Vietnamese massage with Balinese, Thai and Chinese massage, resulting in wholesome treatments that vitalize both mind and body. Inspired by water lilies, the spa’s structure and ambiance reflects natural beauty in every detail. Equipped with a wide range of top-notch beauty and healthcare products, our skilled and friendly masseurs offer our guests the most blissful experiences. Our Water Lily Spa offers a variety of treatments and services including facial care, body massages, aromatherapy, beauty care, waxing and special packages. We love pampering our guests and only select high-quality skincare products based on natural ingredients such as Elemis (UK) and DHC (Japanese). Our treatments are designed to help bring balance to any skin and body type. Our signature treatments include hot stone aromatherapy and herbal ball massages, which combines the healing power of natural ingredients and aromatic oils to release muscle tension and revitalize your body. 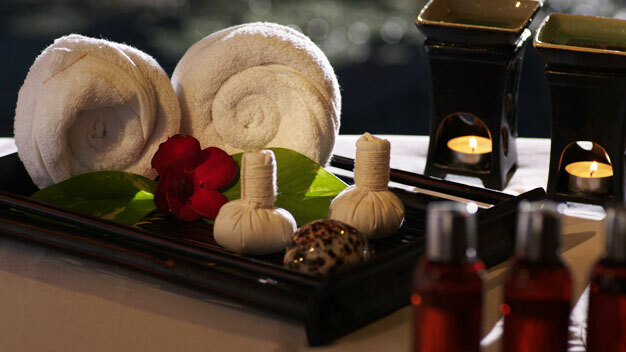 Treat yourself to a two-hour mud mask (either Dead Sea mud or local Vinh Hao mud), a traditional exfoliation and rejuvenation treatment that leave your skin purified and invigorated.For personalized experiences, we offer free consultations prior to treatments, along with customized packages to accommodate special needs. Sea Links city, a complex of luxurious villas, a five star hotel, a 18-hole golf course and condominium, is just 2 km from Bamboo Village Beach Resort & Spa. And here we own 3 villas with spectacular view of the vast blue ocean and the boundless view of the ever-green golf course. With the Villa Paradise 01, you can either watch golfers playing at hole No. 5 of the Golf Course in front and view the open wide view of Muine Ocean from the back.Villa Paradise 33, Sea View 72 will help you melt into the greenery of the Golf Course along with sea breezes. 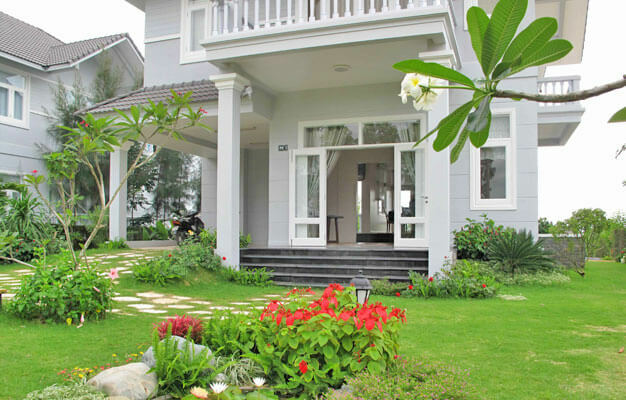 Now the Villas, with rooms each and full furnishings, are ready to accommodate you for your stay. It is really an ideal place for you to retreat yourself. 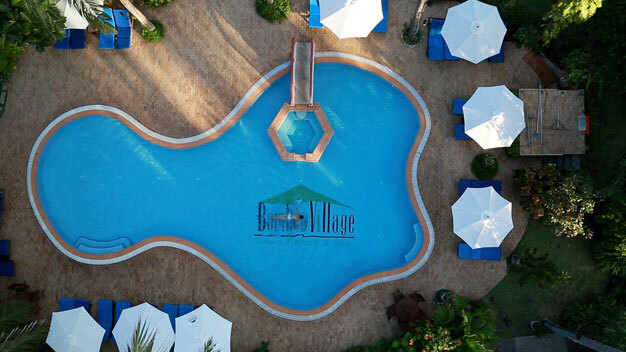 You will be served daily buffet breakfast and use many other facilities at Bamboo Village Beach Resort & Spa for free as swimming pools and a very nice private beach. We long desire to understand the meaning of life. Through yoga, our experienced instructors help visitors gain strength, balance, health, and regenerate their energy. 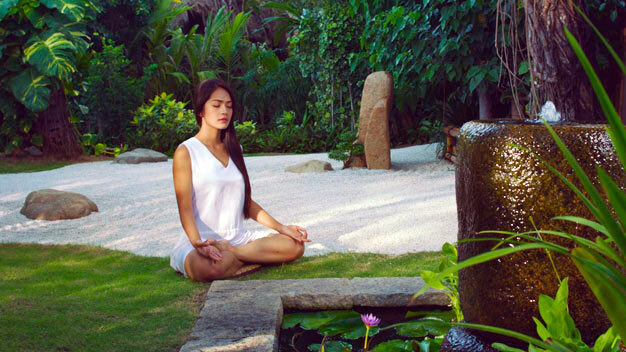 Courses are held in a quiet meditation garden. If yoga isn’t your thing, you’re welcome to use our gym equipment to workout near the greenery pool. Two sunlit swimming pools that bashfully lie beneath shady palm fronds are the ideal place for travellers to wash away their worries. 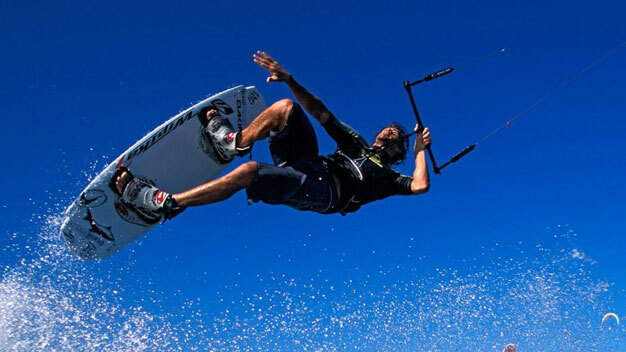 Here they can enjoy swimming, sunbathing or reading—relaxing all the same..
Kite-surf lovers will feast on endless waves and wind while onlookers admire all the kites flying through the air. Our beach is private and is the Milky Way of paradisiacal green and ecstatic blue. The sea is full of excitement throughout every season..
We offer specially designed meeting rooms for the demands of MICE groups. 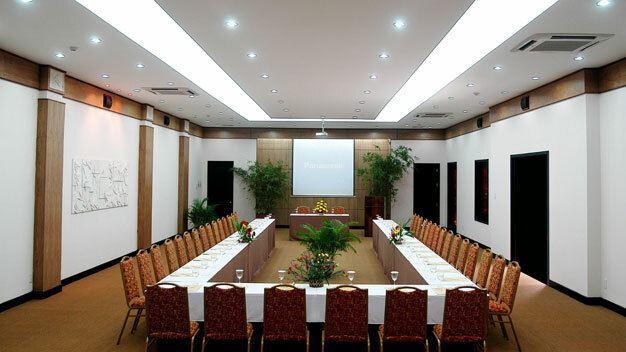 The Swannery Conference Room seats up to 180 for formal events with state-of-the-art audio-video equipment, air-conditioning, and a garden view coffee lounge for breaks and intermissions.